Stretching over 130 miles south from the Virginia border through three North Carolina counties, the Outer Banks is home to many villages and communities, each with a unique history and personality. Based on your preferences, choosing the best Outer Banks location, from lively oceanfront locations to quaint village settings or remote off-road communities, can greatly enhance your visit and vacation experience. The areas at the northern end of the Outer Banks are located in Currituck County, extending approximately 20 miles south from the state line between Virginia and North Carolina on Bodie Island. The northernmost area, known as the Four Wheel Drive Area (or simply 4 X 4) is accessible only by four-wheel-drive vehicles via the beach, as the name implies. While there are a number of beach houses, many large and upscale, this area does not have any shops, restaurants, gas stations, or other services. South of the 4 X 4 area, Corolla is home to several vacation developments, ​shopping/entertainment centers, and a few hotels. South of Corolla and into Dare County, Sanderling Resort is the only four-star resort on the Outer Banks. Continuing south, the quaint coastal village of Duck is popular for fine dining, unique boutiques, and extravagant vacation homes. South of Duck, Southern Shores is a relaxed beach-to-sound community, close to but not in the heart of the action. 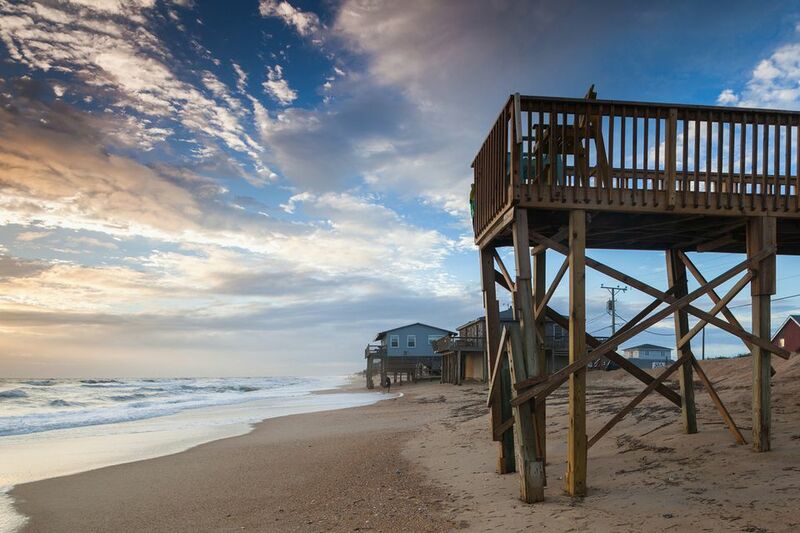 Moving on toward the center of Bodie Island, the towns of Kitty Hawk, Kill Devil Hills, ​and Nags Head are the most populated and home to numerous vacation cottages and condos, family-owned and chain hotels, restaurants, shops, and attractions. 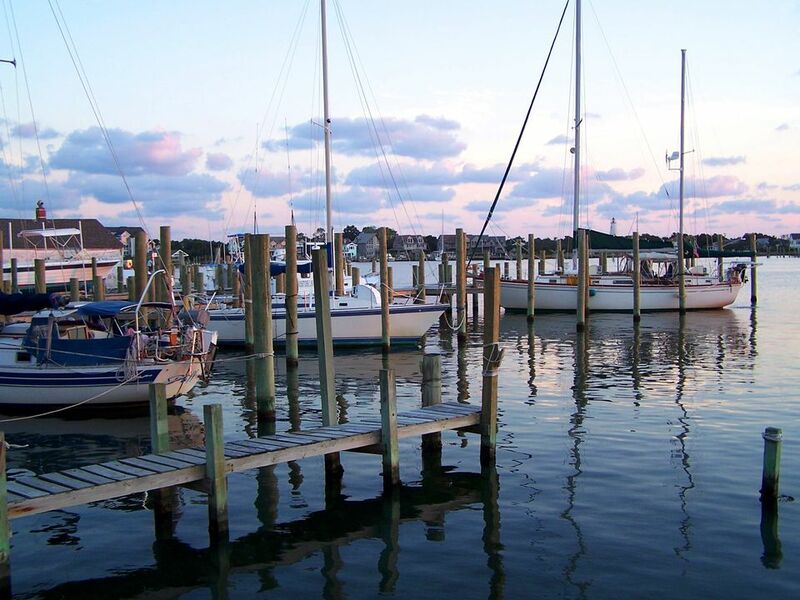 Slightly south and west of Nags Head, Roanoke Island offers charming village settings in the historic town of Manteo and the quaint fishing village of Wanchese. The island is surrounded by the Roanoke and Croatan Sounds, Roanoke Island offers lovely water views, but there are no oceanfront beaches. Island accommodations include bed-and-breakfasts, several in Victorian style homes, as well as a few inns and an RV campground. Bodie Island connects to Hatteras Island via a bridge. Stretching along Route 12 within the boundaries of Cape Hatteras National Seashore, the small communities of Rodanthe, Waves, Salvo, Avon, Buxton, Frisco, and Hatteras are know for their laid-back vibes, great water sports including some of the nation's best fishing, miles of unspoiled beaches, and abundant nature. Rental properties range from very large, upscale beach houses to condo communities and older, modest cottages. There are also several hotels and inns, mostly privately owned and operated, as well as a number of campgrounds. Accessible only by ferry, private boat, or private plane, Ocracoke Island, located in Hyde County, is the southernmost area of the Outer Banks. Sixteen miles of beautiful, undeveloped beaches and the compact, lovely and historic Ocracoke Village make this a popular getaway destination for families and couples. Village accommodations include large and small cottages, hotels, inns and bed-and-breakfasts, many with lake or harbor views. There are also campsites.